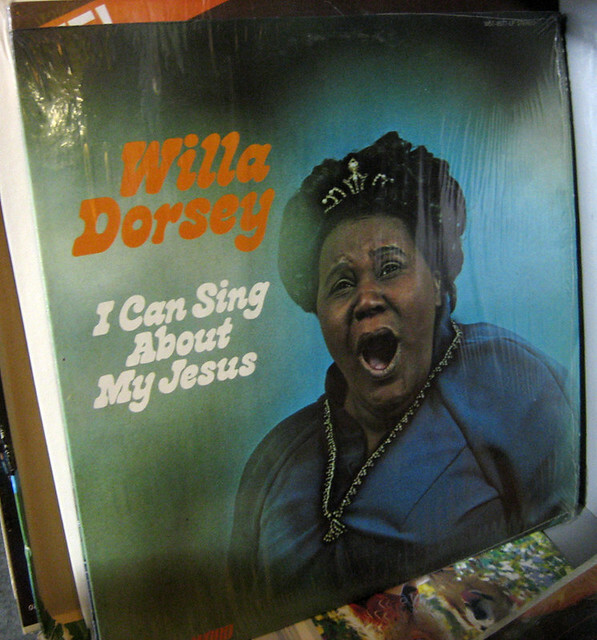 Willa Dorsey - I Can Sing About My Jesus | Flickr - Photo Sharing! Unpleasant Dot Org, heartshare2002, and 1 other people added this photo to their favorites. Oh, so he's *your* Jesus now, Willa? You CAN, Willa. That doesn't mean you SHOULD. What a talent - what an increbible voice - I last saw Ms. Dorsey at Second Baptist Church in Houston, TX in 1987. She is still the best live performance I have ever seen including Beverly Sills, Johnny Winter, BB King, Rod Stewart, Jethro Tull, Moody Blues, Return to Forever/Chick Corea, Joni Mitchell, The Stones, Van Halen and many many more. Outstanding Lady - where are you? Was doing a search on Willa and saw your comment on her singing. She has been attending our church, Lighthouse Mission, in Portland, Oregon for many years now. Your comment had at the end "where are you?" Well I am sad to say that I received news last evening that she passed away last evening on 1/5/09. She will be missed tremendously here on earth but will now be singing with the angels. quiero la letra de i can sing about my jesus! please! quiero la letra de i can sing about my jesus, please!